Here in 2018, Paul’s new album is out today. Listening to it right now. To stay focused, I will spend as long writing as it takes to get through it. It sounds about like Paul has sounded for the last 30 years or so — drifts by in a pleasant enough haze, nothing all that memorable about it, as far as I can tell. Paul’s voice sounds kind of shot, and seems to be coming from far away; I suspect some digital correction has been applied. But can you blame him? Paul’s been at this a hell of a long time. Who’s gonna be the one to tell him to stop? Another mediocre McCartney album is hardly a tragedy. It is dragging on for a bit though. The reviews I’ve read have been pretty kind and I guess that’s nice. What’s the point of hammering on Old Man McCartney, when every album might be his last? 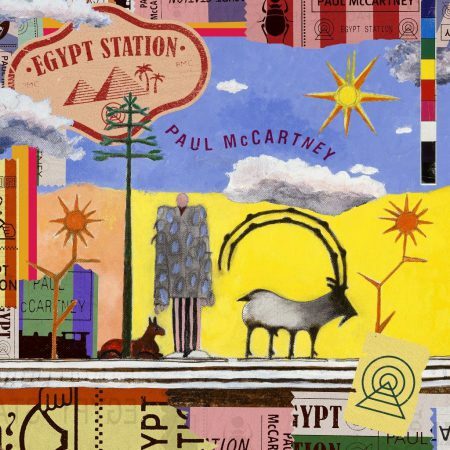 It sounds like he’s trying, though Egypt Station is hardly a Major Statement — that’s not Paul’s style. It might be too much to ask, but I suspect that Paul has a good elegiac acoustic album in him. Paging Rick Rubin. The last track is a three-part suite, intentionally recalling Abbey Road or “Band on the Run.” Not the best idea necessarily. And then it’s over. Now where’s that White Album reissue?